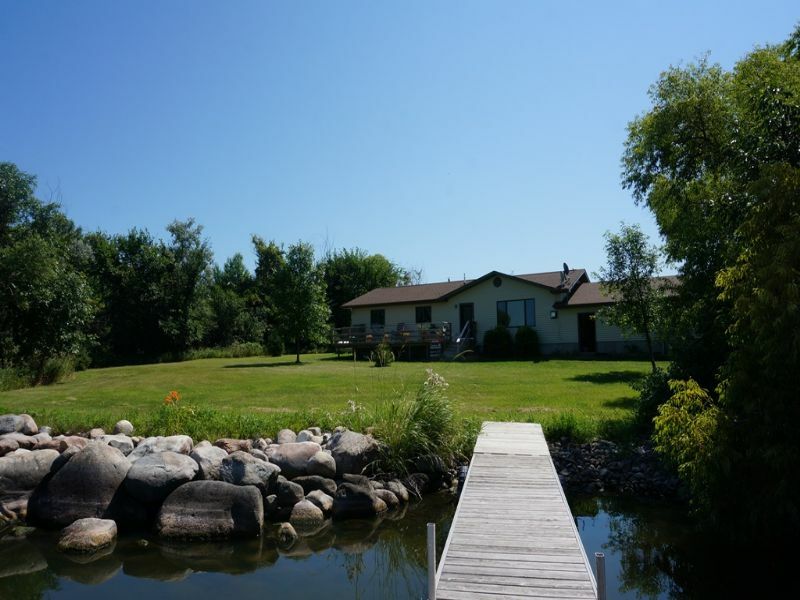 Enjoy lakeside living with 200 feet of Lake Traverse shoreline just steps from your door. Built in 2003, this 1,400 square foot home has 3 bedrooms, 2 bathrooms, and an attached two car garage. The large living room features a gas fireplace for year-round coziness while enjoying a spectacular view of the lake. Wood laminate flooring throughout the entire house. Central air/heating, newer appliances, vinyl siding, large deck overlooking the lake. Rocked shoreline with a natural sloped area for a dock. Large lot offers potential for a steel shed or even a second residence with a shared well and driveway. On the Minnesota side of Lake Traverse close to Highway 27 and a short drive from Browns Valley.